About H&s Construction. Harrogate and Leeds Builders. 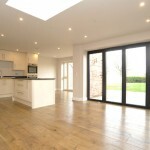 New Build, Construction, Conversions and Extensions in Yorkshire. Call us today on 07973 757641. Read more about H&S Construction, we offer a wide range of building and construction services to Leeds, Harrogate and the whole of Yorkshire. H & S builders regularly work with local architects, structural engineers and building regulators so we are well placed to discuss your ideas with you and literally help you plan from the ground up! Our builders are well versed with all local building regulations to help ensure that there are no delays during the works and are more importantly that no unforeseen cost arise. As leading builders in Yorkshire we pride ourselves on our attention to detail, professional and excellent workmanship and customer service. Our objective with any project is to not only ensure your work is completed on time and within budget, but also that the whole process from start to finish causes minimal disruption to your normal routine. Throughout the duration of the project we will try to ensure that all builders materials, machinery, tools and waste are positioned discreetly and respectfully with safety in mind at all times. Any alterations that may require access through your current living space will be discussed well in advance so we can ensure sufficient provision is in place to keep the spread of dust and dirt to a minimum. And finally, whilst a certain amount of upheaval is inevitable with even the smallest piece of work, we make every effort to maintain an on-going level of site cleanliness during the project and endeavour to leave your property as clean as we found it.